This United Edge Desert Camo Rescue Folder is one magnum machine. It is a massive 8 1/8" overall and offers stainless handles with rugged G10 inlays. 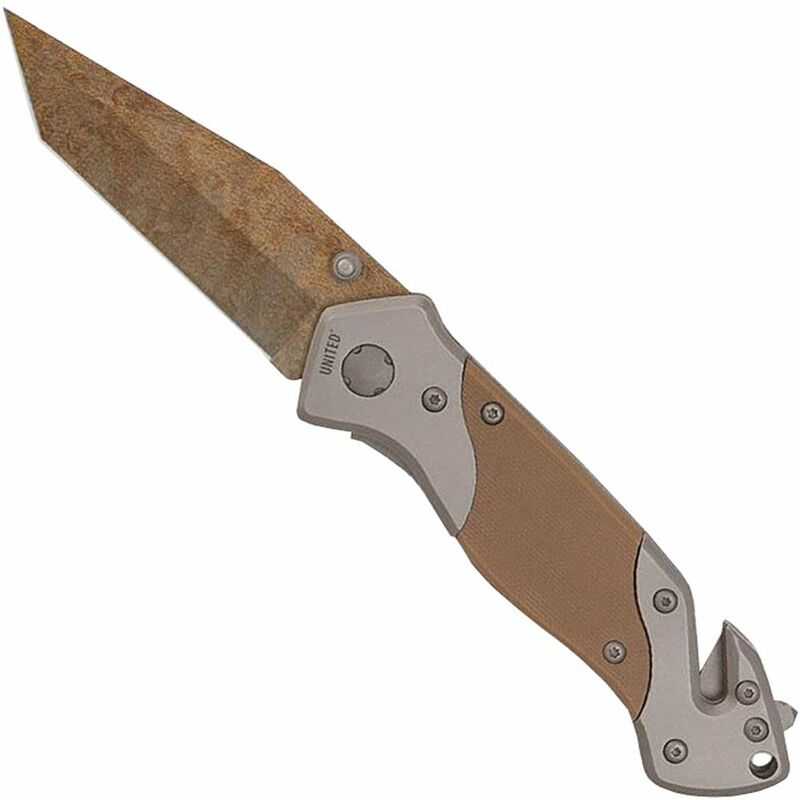 A 3 1/4" desert camo coated stainless steel blade is honed to a razor’s edge and offers a piercing tanto point. It also offers a belt cutter and glass break spike for emergency situations. A stainless steel pocket clip allows convenient carry options for pockets or a pack.